Elizabeth Locke uses luminescent stones, antiquities, and Venetian glass intaglios in her pendant designs. 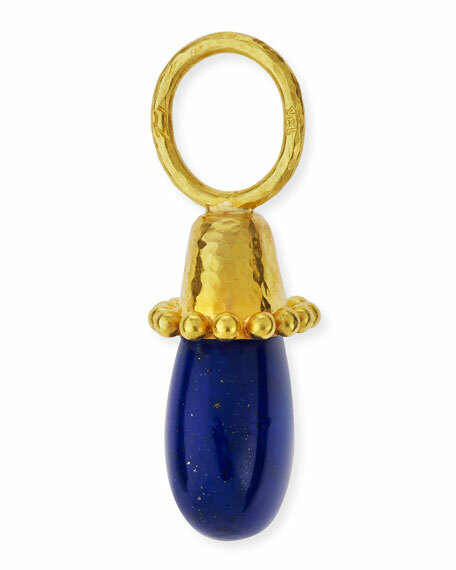 The Venetian glass intaglios are made in 17th century glass molds, adding to the distinctive allure of her jewelry. Necklace not included. 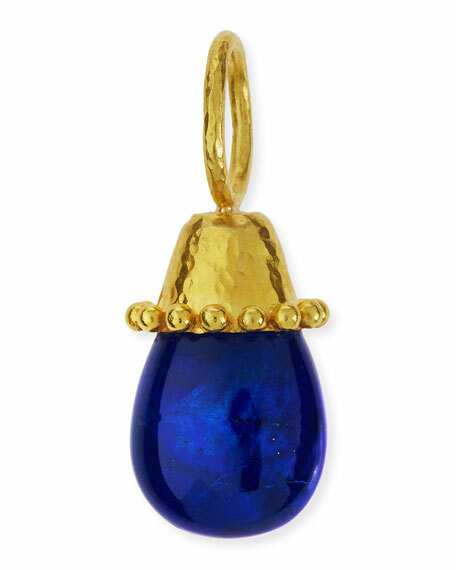 Elizabeth Locke pendant in hand-hammered 19-karat yellow gold. Single row of granulation trims top cap. Small lapis drop pendant, 12 x 18mm. Link at top slips easily onto a necklace. For in-store inquiries, use sku #1782380.